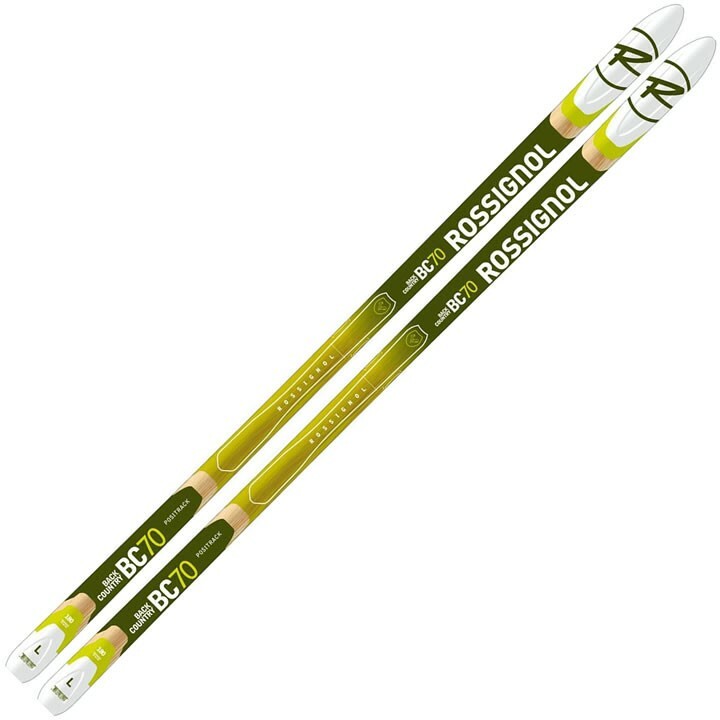 The Rossignol BC 70 is a lightweight, metal edge touring ski designed for off-trail exploring or light on-trail use. The waxless Positrack base provides maximum grip and the best compromise between kick and glide in all snow conditions. Full-length metal edges and a taller camber height provide off and on-trail versatility. Built with a Low Density core, the BC 70 is a durable, lightweight and versatile touring partner, off or on-trail. Wood Air: Wood core with large air channels provides lightweight, durable and sturdy off-trail performance. Activ' Cap: Provides increased directional and torsional stability while offering supple longitudinal flex to glide freely over uneven terrain. The extended edge provides a wider platform for enhanced stability and edge control. Stone Finish: Milled base finish optimizes glide qualities. AR Positrack Waxless Pattern: Thermoformed (positive) waxless kick surface delivers the best compromise between grip and glide in all snow conditions. Wide Sidecut: A wider sidecut at ease in all conditions, on all terrain.